Home CONTRIBUTORS/BLOGGERS FEATURED WENDY MATTHEWS SPECIAL VALENTINES SHOW + more! WENDY MATTHEWS SPECIAL VALENTINES SHOW + more! Valentines Day is just around the corner and we have the perfect show for you and your loved one to attend. The soulful WENDY MATTHEWS will be performing her show ‘BILLIE AND ME’ at Kingston City Hall on SAT 16th FEB. You’ll be treated to an intimate evening of music that pays tribute to the iconic Jazz Queen, BILLIE HOLIDAY and as a bonus,Wendy will perform some of her well-known hit too! Ps. See below for a special Valentines Promotional Offer! Why not make a night of it and enjoy a delicious meal before a show! The fabulous Chameleon Junction offer a delicious selection of meals for seated patrons from 6.45pm to 8.30pm. Just order upon arrival in the servery area at the back of the band room and have your meal delivered to your table. Check out the latest menu HERE. Our friends over at Caravan Music Club in East Bentleigh have the sensational PERRY KEYES and Band performing on SAT 2nd MARCH, where he will be showcasing songs from his latest album ‘Jim Salmon’s Lament’ plus playing songs from his critically acclaimed back catalogue. Rah Bar, Sth Yarra, is thrilled to welcome this high-energy Motown tribute back to the stage this February! 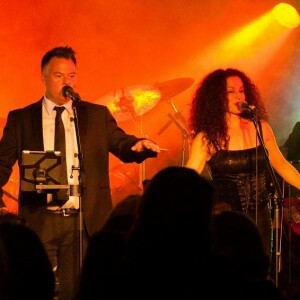 Featuring three highly dynamic and versatile singers, expect a recreation of well-known hits by Mary Wells, Stevie Wonder, The Supremes and all of Motown’s superstars in a show featuring over 30 of the label’s biggest hits. The 6-piece band that backs these singers authentically recreates the sound of Motown and you won’t be able to hold yourself back from dancing the night away, so round up your friends for fun night out!! 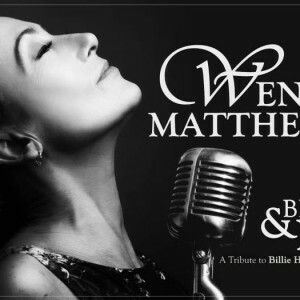 Treat your special someone to an intimate evening with one of Australia’s most talented singer songwriters, WENDY MATTHEWS this February as she pays tribute to the iconic BILLIE HOLIDAY, who is still considered to be one of the greatest jazz voices of all time. Expect an introspective translation of some classic and not so classic Billie Holiday masterpieces, including ‘God Bless the Child’, ‘Good Morning Heartache’, ‘The Man I Love’ and ‘You’re My Thrill’. Additionally, Wendy and her band will perform a handful of reworked popular songs from Wendy’s highly successful career. The rockin’ four-some are back! 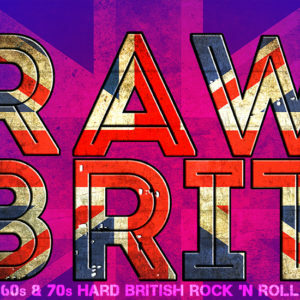 Specialising in British rock from the 60’s and 70’s, you are guaranteed a night of good ol’ rock’n’roll featuring songs by Free, Bad Co, Led Zep and Cream just to name a few. Come get busy on the dance floor! WIN 1 of 5 Prizes! Just purchase 2 or more tickets to the show and you will automatically be placed in the draw ….it’s that easy! WILL YOU BE DINING BEFORE A SHOW @ KINGSTON CITY HALL? Local restaurant Chameleon Junction are on board to provide our patrons with a fabulous selection of meals to choose from that will be cooked on site, and that also cater for any special dietary requirements. More information about dining can be found on our DINING page. For a limited time only, all Flying Saucer T-shirts will be ON SALE at the bargain price of ONLY $15 each (Normally $25 each) Sizes range from SM to XXL. GRAB A BARGAIN AT THE NEXT KINGSTON CITY HALL SHOW! 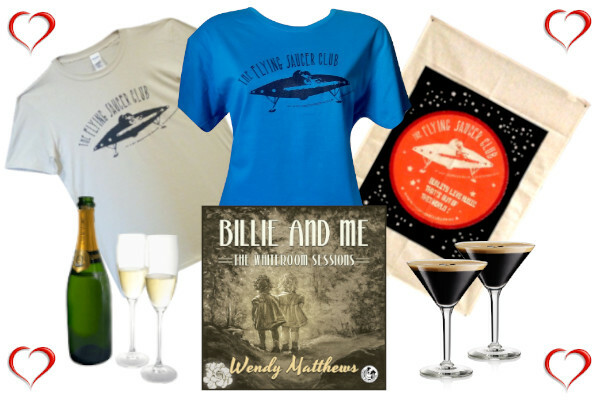 Our Flying Saucer Club T-Shirts are made from 100% Cotton and are sure to last you even through the roughest of mosh pits. They make a great gift for that special music lover in your life, or even to add to your own growing collection! Offering both Mens and Ladies styles, we have a wide range of sizes and logo colours to suit all tastes. KINGSTON ARTS POP UP BAR! Kingston Arts are staging their extremely popular Pop Up Bar shows again this February The shows will take place every Friday night from 5pm with a cracking line-up of food trucks, craft beer, cider and wine and live music. This is a fantastic free event hosted in the forecourt of Kingston’s iconic City Hall, Moorabbin with upcoming performances by Nikki Nicholls, Thee Marshmallow Overcoat and finishing up with the ever-popular locals, Dirty Laundry. Visit www.kingstonarts.com.au/MUSIC/popupbar for more information.